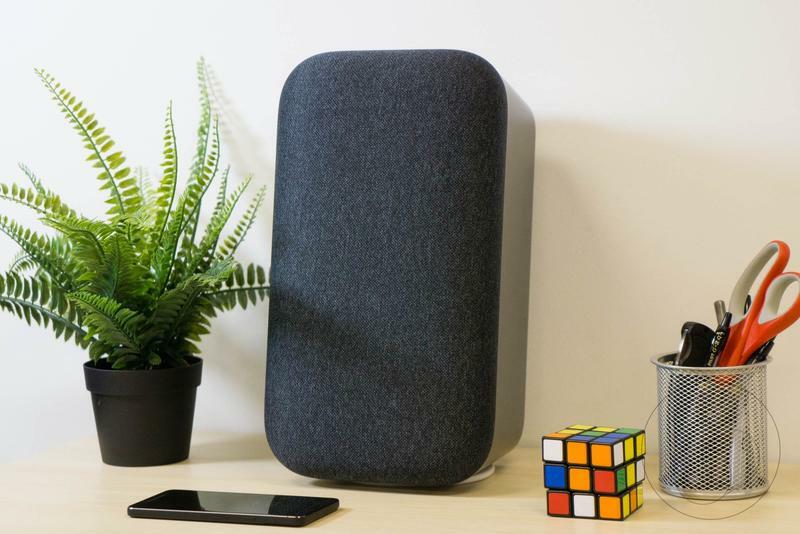 The rise of the smart home speaker has spawned an entire market of options, from the Amazon Echo to the diminutive Home Mini. These are consumer-friendly gadgets designed to blend in with your home's decor, always at-the-ready when you need to set a timer or check traffic. They function beautifully, but they all suffer from imperfect sound quality. So, a more powerful set of smart home speakers is coming to the forefront, with Google's brand new Home Max leading the charge. Announced alongside the Pixel 2 last fall, the speaker is a robust version of the more mainstream Home, complete with more advanced technology and a higher price of admission. Disclaimer: I used the Google Home Max for two weeks, including during a small New Year's Eve gathering, before drafting this review. Having outfitted my apartment with an Echo and Echo Dot—which I've been completely enamored with—I was excited to try Google's smart home speaker. Assistant is a more powerful AI that integrates beautifully with Google's many services, making it a great companion for my Pixel 2. First thing's first, though: How does this thing sound? Very good. At high volumes, the Google Home Max produces thumping audio, with booming bass and clean, defined highs. It's plenty loud for small gatherings and ably fills spaces thanks to is Smart Sound technology, which adapts the Home Max's sound depending on the environment it's in. 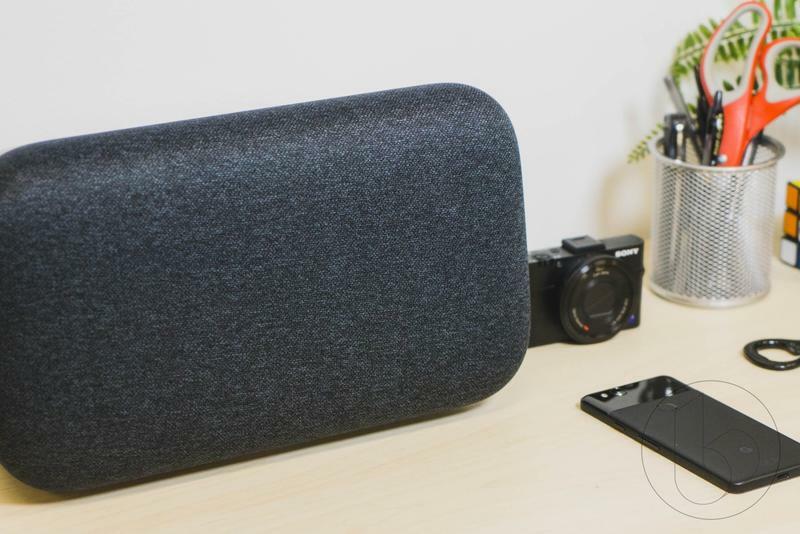 The weighty sound is thanks to the Home Max's design, featuring two 4.5-inch woofers that Google says each have 22mm of excursion for deeper bass. 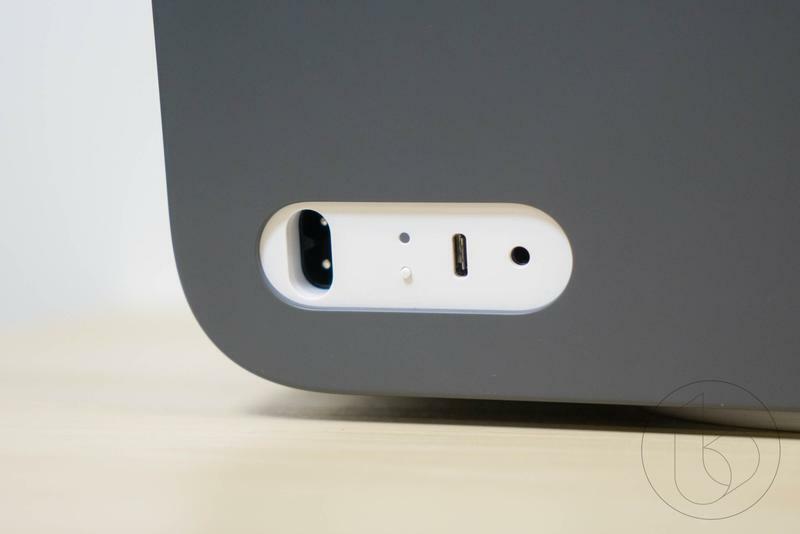 Google also customized the device's tweeters, stuffing all that sound in a rigid, durable housing, complete with snazzy LEDs. That housing, by the way, coupled with a transparent fabric, amounts to a speaker that's quite large; 13 inches long, over 7 inches tall and nearly 12 pounds. Put it this way, when it's on a shelf or bookcase, you can't miss it. But that's not really why you'd buy the Home Max in the first place. You buy it for the sound (which is great) and Assistant (also great). I primarily used the speaker horizontally, allowing it to produce a stereo image; flipping it vertically will run it in mono. If you buy a second Max and prop both up in portrait, they'll create a stereo pair. Getting the Max's assistant features up and running takes no time at all. Simply download the Google Home app, pair the device, and you're up and running. It's a completely painless experience. Setting up Assistant will let you do everything from currency conversions to controlling your smart home. If you have a Chromecast, you can control that, too. Best, and most important, is that Assistant will play music when you command it, whether it be through Google's Play Music or Spotify. Either can be set as your default. Once music is pumping, you can control the volume via a touch-sensitive bar or by using your voice. Using the bar is a little finicky and unpredictable, so I'd recommend adjusting it by saying, OK Google, change volume to 80 percent. Remember that Smart Sound technology I mentioned? The one that dynamically adjusts the sound depending on where the Max is situated in your home. Well, the six microphones used for that feature also listens out for your voice. After two weeks of testing, there hasn't been a single instance when the Max didn't hear me, even with the music turned up. Better yet, the Max can capably understand and respond to multiple users thanks to a feature known as Voice Match. Once set up, Google Assistant will recognize up to five people, so each member can get a personalized experience. It works beautifully, especially if you and your significant other don't have the same taste in music. Note: I've seen the Home Max frequently compared to the Sonos Play:5, which is about the same size as Google's powerful speaker. While I've never had the pleasure of using the Play:5, I can tell you it's not quite as useful because it doesn't have any smart assistant technology. Whether you prioritize that will help determine which speaker to consider. At $400 the Home Max is a pricey proposition, but one that will fill your home with loud, deep audio. It's not without its faults, like the imprecise volume control, but that's relatively minor when you're enjoying tunes during a joyful family gathering. And if you already own one or two Home devices, the Max becomes even more enticing because of how easily it can sync up for stereo pairing and multi-room sound. It also goes without saying that if you're deeply embedded in Google's ecosystem, the search giant's smart speaker is easy to integrate into your everyday life. The Home Max also features a 3.5mm port in the back, so you can easily hook it up to a record player. Google also provides users with a button the back of the device that will forever silence the Max's voice capabilities, which is great if all you're after is playing music. If you're not committed to any one ecosystem, I'd hold off on buying the Home Max, at least for the time being. Apple's HomePod, which will cost $350 when it releases, should compete in sound quality, so it's worth comparing the two once they're both available.